This was a true "gut" located in the Paseo District-Jefferson Park Historic neighborhood in the heart of Oklahoma City. Gut seems harsh, it was truly a restoration of a historic treasure. This property sat on a list of "abandoned properties" in Oklahoma County. This home has classic historic lines with wood clapboard siding, ornamental brackets under the box window, bay window in the formal dining room and a covered front porch. It featured an open living, dining and kitchen with central fireplace. 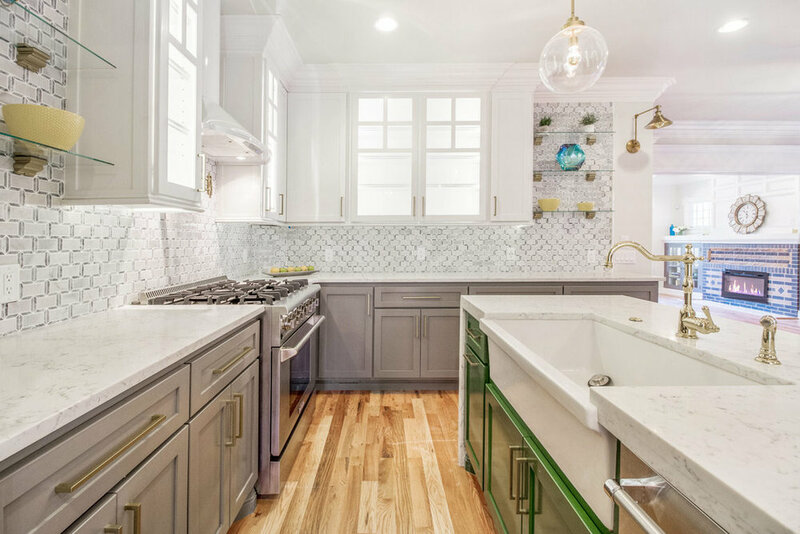 The kitchen was fitted with a chef's appliance stainless package, butler pantry, granite counter tops, custom cabinets and designer tile. 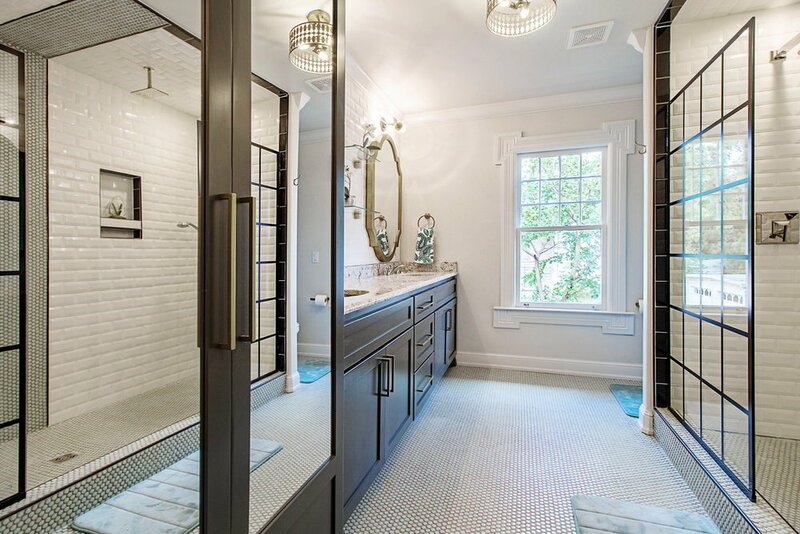 For modern functionality, we added a powder bath on first floor. The upstairs featured a master suite with barndoor and bath which includes a clawfooted soaking tub and seperate shower and dual vanities. There are also secondary bedrooms with ample with large closets. Again for modern functionality, the laundry room is on 2nd floor. 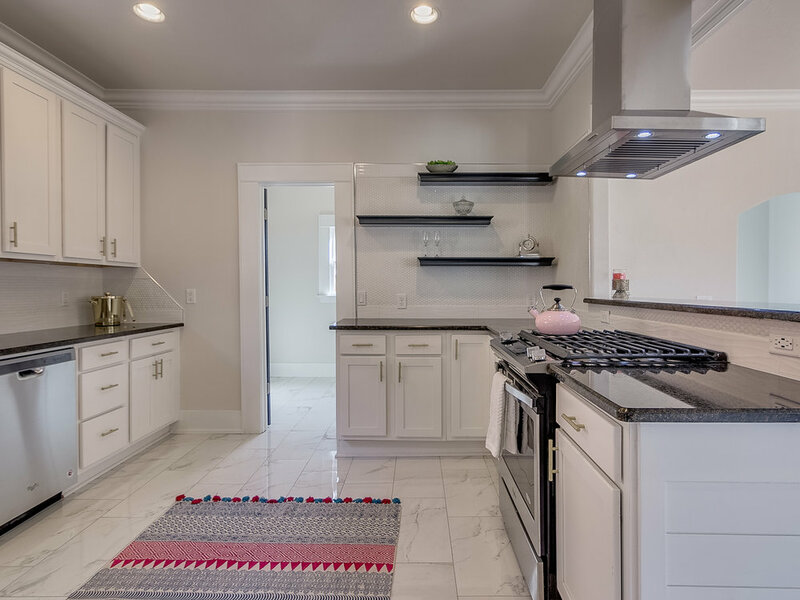 Given that this home was remodeled from the studs, the new owners will enjoy a complete remodel of electrical, plumbing, zoned HVAC, and steel supports and footings. Truly, the best of both worlds. Modern function, historic character. Hawk was a prolific and talented architect and his firm Hawk & Parr transformed the face of Oklahoma City, designing such enduring edifices as the Osler Building (now the Ambassador Hotel), the Plaza Court Building, the Harbour-Longmier Building (420 W. Main) , the Farmers National bank and the Perrine Building. The firm also built many private homes, including the 20,000 square-foot home of William T. Hales at 1240 N. Hudson. The Hawk Mansion, at 900 NW 19th St., is one of the great beauties of Mesta Park. Perched triumphantly atop a large corner lot, the home is timeless and welcoming, with the Hawk family’s letter H proudly etched into its façade, a beautiful harkening to the past and harbinger of great things to come. The Hawk Mansion holds graceful court from its large corner lot, perched elegantly at NW 19th and Francis. 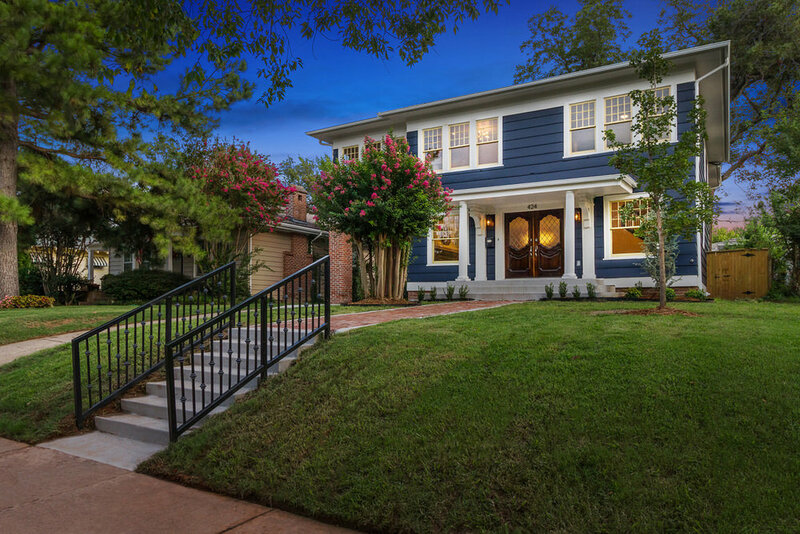 A rare opportunity to have it all: majesty, convenience, walkability & history. The Hawk Mansion is move-in ready, a perfect canvas for your design dreams. 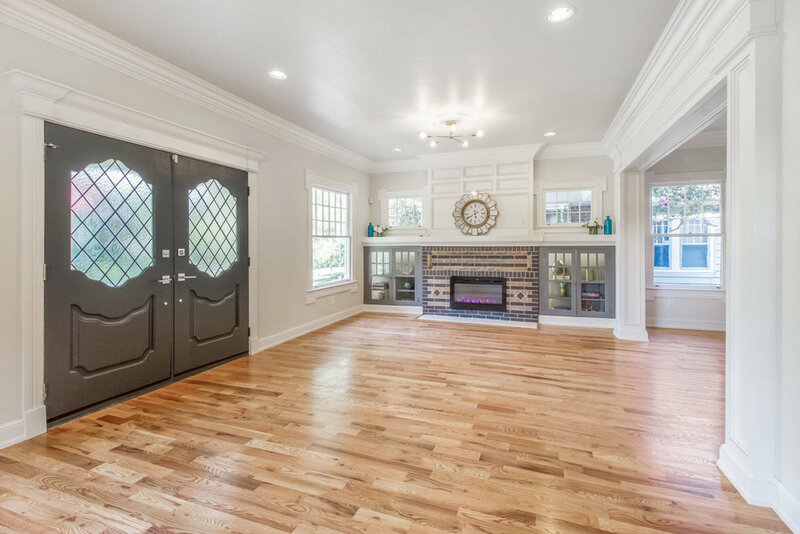 Four floors, grand foyer, living room w/ marble fireplace, the gorgeous chandelier dances on the coffered dining room ceiling, well-equipped kitchen w/ Thermador appliances, mudroom, morning room & powder bath. Master suite with sitting room is a spacious oasis. Watch the sunset from the second floor balcony. Boudoir closet & stunning bath. Three additional beds for your brood, guests or both. The basement speakeasy party room with a 1960s-era mural painted on a brick wall & wet bar built from repurposed wood, a wine cellar, wine cooler & powder bath. Carriage house behind is freshly remodeled, with 1 bed, 1 bath & kitchen. 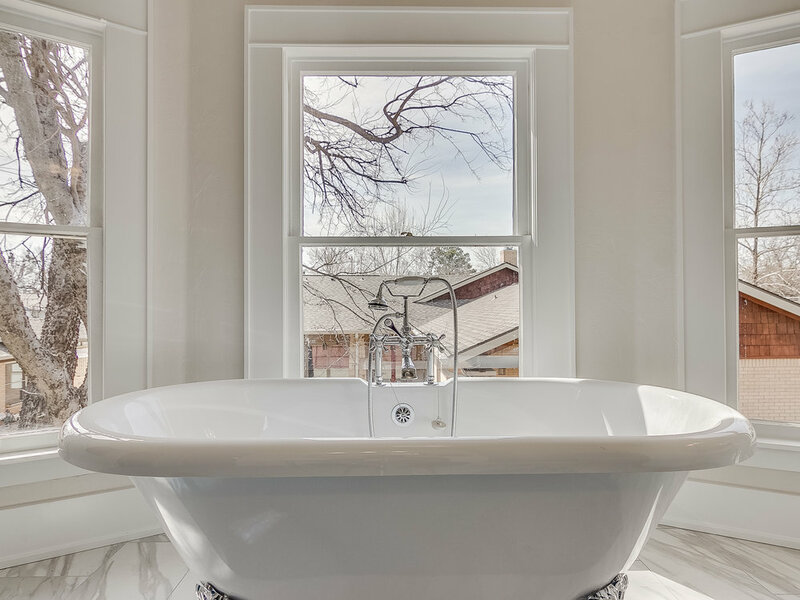 Abandoned for decades, Modern Touch by Omega orchestrated this spectacular remodel of a Mesta Park treasure with modern features such as a open concept living, dining and kitchen. 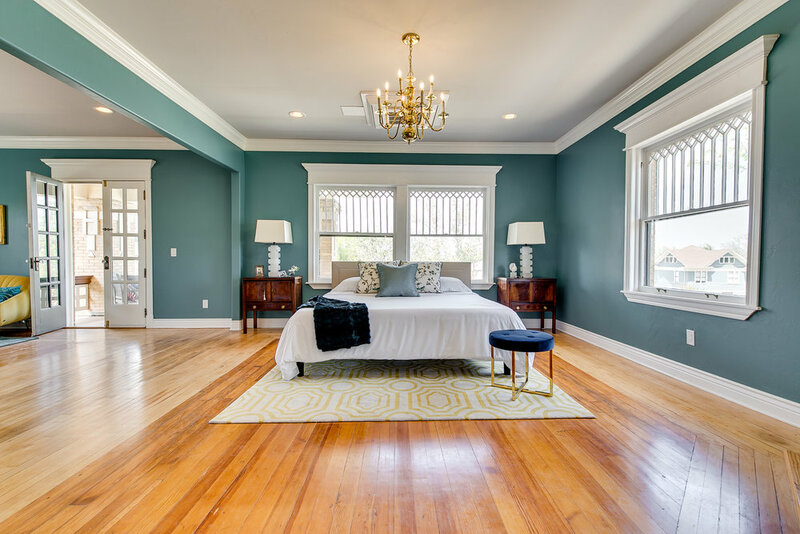 The remodel on this historic home starts with the foundation and included: 2 zones of HVAC, electrical, plumbing, sewer line, roof, wood trim, chef's kitchen, artistic tile, gleaming refinished hardwood, top of the line lighting package. It was truly "old meets new" as retro green joins gleaming modern to impress. There was one bed and a full bath down and 3 beds and 2 baths up. Central fireplace in one of the secondary upstairs bedrooms allows for an office or sitting room as well as sleeping space. The en-suite master bath features huge multi-head shower and glass enclosure, double vanities and exquisite custom cabinets with granite. Tile work is amazing thru out the home in all baths and kitchen. The best part? We could walk one block to Uptown for cocktails at Cheever's and shows at the Tower Theatre.